Mon-Thurs : 9:00 a.m. - 8:00 p.m.
Fri : 9:00 a.m. - 5:30 p.m. Sat : 9:00 a.m. - 5:00 p.m.
Sun : 1:00 p.m. - 5:00 p.m. The DeForest Library Endowment fund is a long term investment in the future of our library and our community. The interest generated from the endowment fund will help fund programs, events, and/or purchase new (and ever-changing) technologies for the library and the community. Why Support the DeForest Area Public Library? 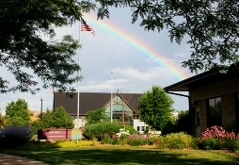 The DeForest Area Public Library is an important and wonderful asset to the community. The library is a community based center for lifelong learning, and provides free computer use & WiFi, educational services, cultural events, and programs & activities for all ages. The DeForest Library has celebrated its 50th Anniversary and is planning for the next 50 years. The library needs alternative funding for the future to ensure it will be able to provide the services and technologies our community needs and wants. Madison Community Foundation’s mission is to enhance the common good through philanthropy. Established as a community trust in 1942, Madison Community Foundation, together with donors, awards over $10 million every year to strengthen causes and communities in Dane County and around the world. Learn more at www.madisongives.org. Donations are tax-deductible. Tax receipts will be mailed to you.